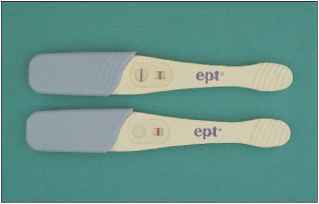 Figure 17.10 ELISA Test for Pregnancy The test detects human chorionic gonadotropin (HCG), an antigen present only in pregnant women. A urine sample is applied on the left.Two pink lines indicate reaction of HCG with antibodies, a positive test. A single line indicates absence of HCG in the urine, a negative test. Figure 17.11 The Western Blot Test cially to test for group A streptococci, antibiotics, cytokines, and pregnancy, among many other uses (figure 17.10). ELISA tests are more widely used than RIA because they are cheaper and there is no radioactive material to be discarded. Western blot, or immunoblot, is a technique that combines electrophoresis with ELISA to separate and identify protein antigens in a sample. It has many research applications, but its main clinical use is to confirm positive ELISA screening tests for antibodies against HIV. The ELISA tests are simpler and cheaper, but they give a small percentage of false positive results; therefore, positive results need to be confirmed by a different method. In the Western blot technique, a mixture of antigens is separated by electrophoresis in a polyacrylamide gel. Smaller proteins migrate faster than larger ones. 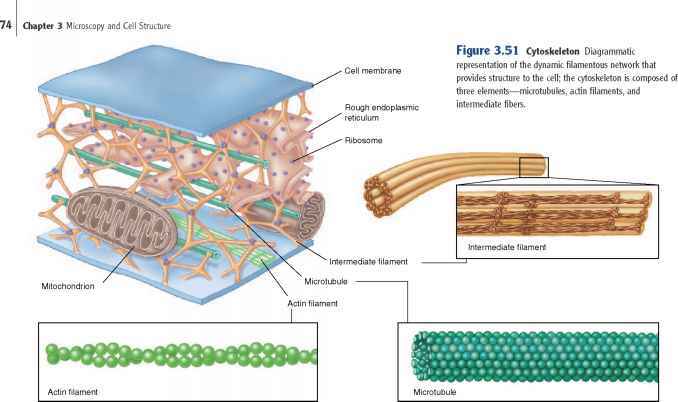 The resulting bands of separated antigens can react with specific antibodies, but antibodies do not diffuse well into these gels. Therefore, it is necessary to transfer the antigens present in the bands from the gel by blotting them onto a filter (figure 17.11). 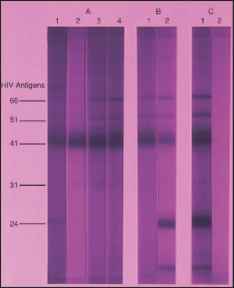 To test for antibodies against HIV, commercial kits are available in which antigens of the HIV virus have been electrophoresed and blotted onto the filter, which is then cut into strips for each test. Each sample to be tested for antibodies to HIV is applied to a strip and incubated to allow specific antibodies to react with the viral antigens. To detect the antigen-antibody combinations formed, a label is used, usually an enzyme-labeled anti-HGG, as in ELISA, or sometimes a radioactive label. The Western blot is a more laborious and expensive technique than the ELISA; however, it offers greater specificity, since antigens are identified by two criteria: their size and their reactivity with antibodies.